As soon as the catalogue for the December auction went online the telephones started ringing and the email notification sound kept pinging. 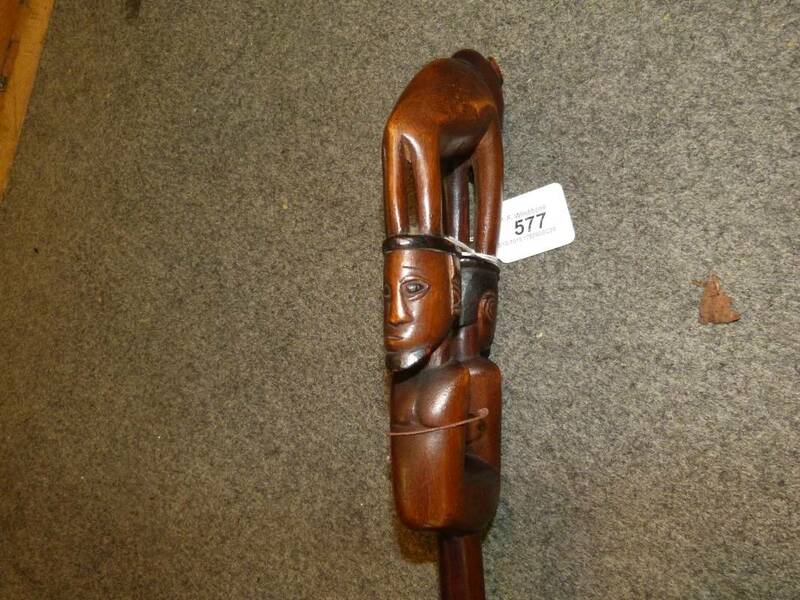 Everyone wanted to know about Lot 577 which we described as an African ceremonial stick with carved figurehead motif mounted with animal, 1m 3cm long. True enough, but only part of the story. 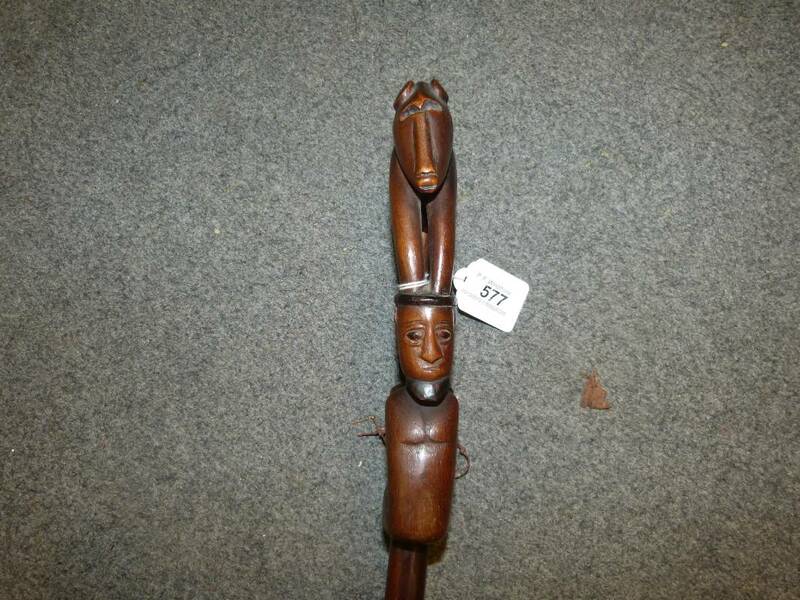 The stick was carved by the "Baboon Master" who was active in the 1880s and 1890s in southeast Africa. Few of his pieces survive and virtually nothing is known of the artist except what he left behind. Some sources identify him as Zulu; others as a member of the Tsonga people. One expert says his work is "among the most distinctive carvings produced in the late nineteenth century southeast Africa". 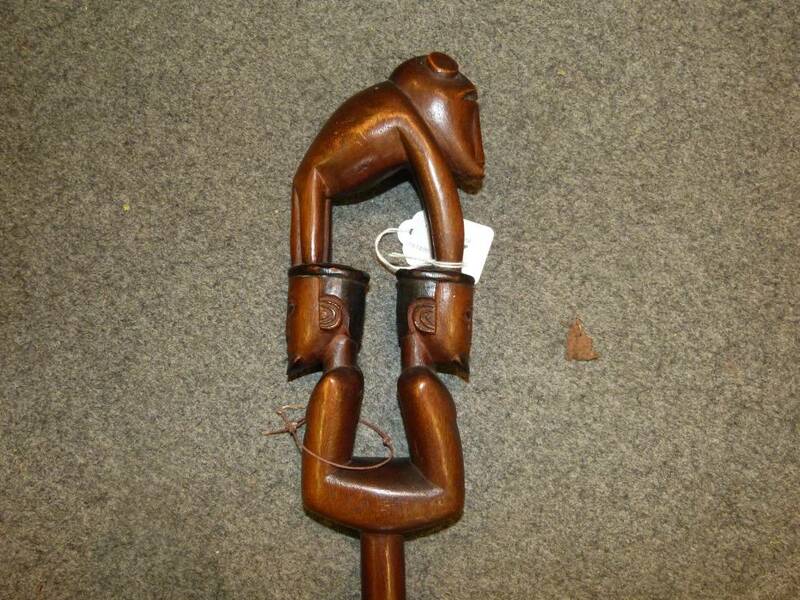 Since there is no history of indigenous walking sticks in that part of Africa, it is assumed that the Baboon Master carved items to sell to soldiers stationed in the area. The vendors received the stick as a gift from a friend downsizing her home ten years ago. The friend was from South Africa, her father had owned the stick originally and he had been in the military. Bidding was active with numerous commission bids, nine telephone lines, and several bidders in the room. The Baboon Master stick went to a UK dealer.